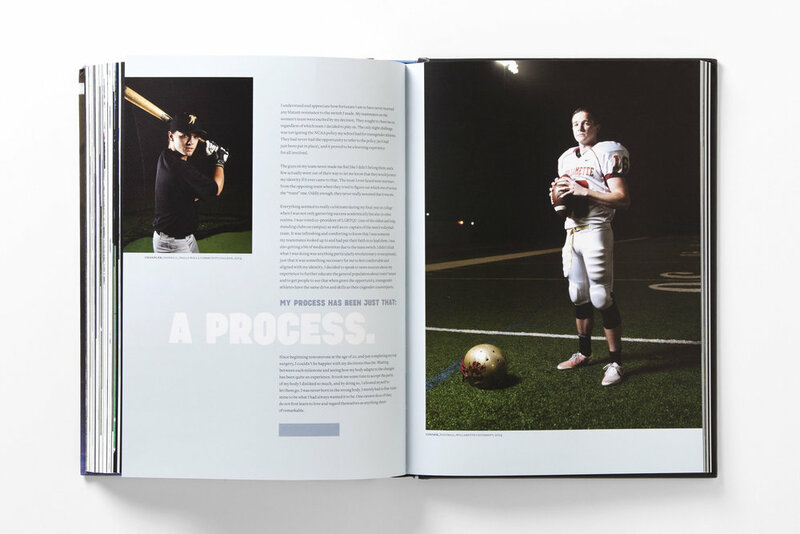 The culmination of a decade-long project, Jeff Sheng’s Fearless features the portraits of over 200 LGBT student athletes, highlighting their individual courage. Instead of a flashy, sexualized magazine, we created a more approachable design that weaves the photography with Jeff’s personal journey as a gay, Asian American artist. 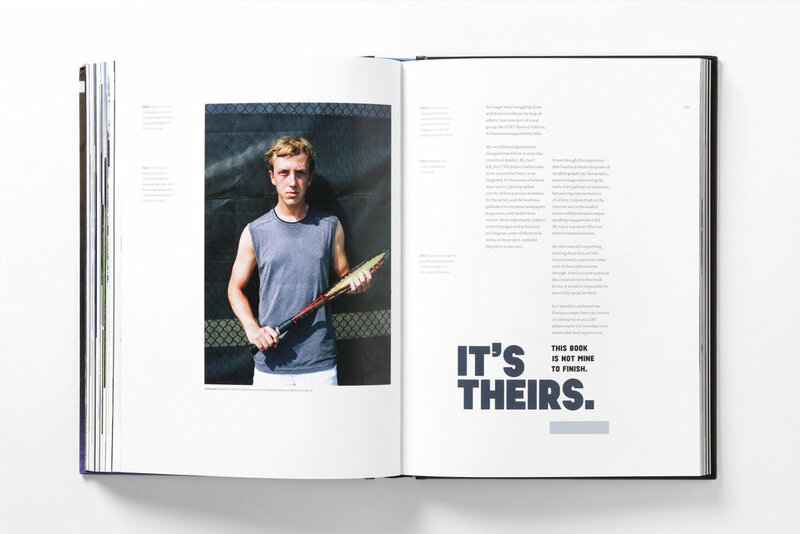 The book includes stories from the athletes themselves, a historic timeline of LGBT milestones, and quotes from inspirational figures. 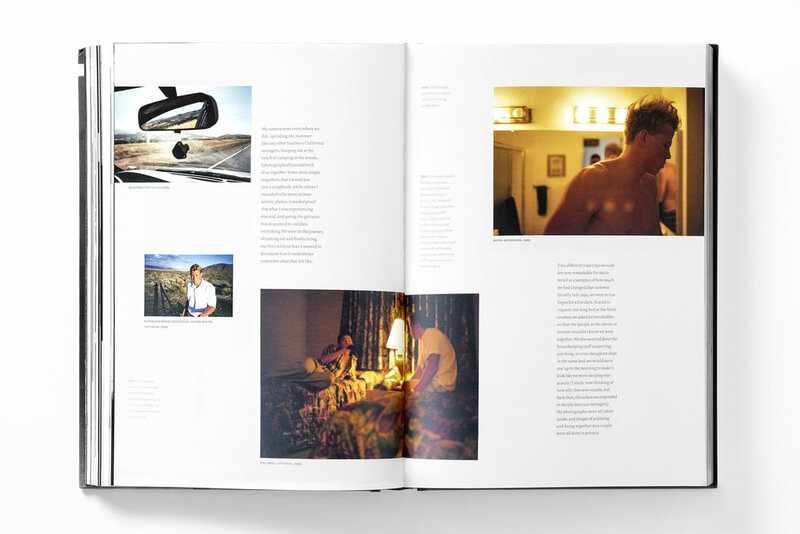 From the beginning, Jeff Sheng insisted on incorporating all 200 portraits in the book, including the stories of women, people of color, transgender people, and people of different body types. He steered the design away from an overly sexualized and flashy representation prevalent in LGBT media at the time. Instead, Jeff asked us to imagine the parents of the Fearless participants as our primary audience. Driven by this motive, the book begins with Jeff's own story about growing up in an Asian American household in California, his first relationship, and his journey to become an artist. 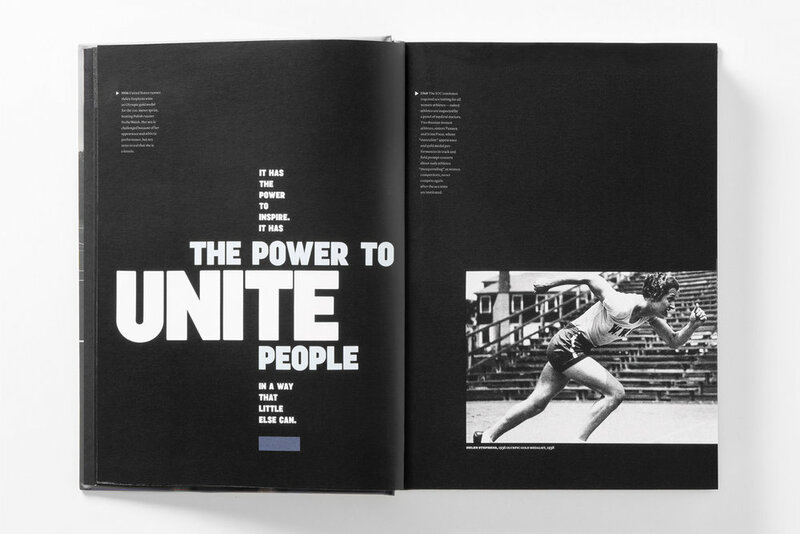 It weaves portraits and stories from the athletes, both poignant and heroic.